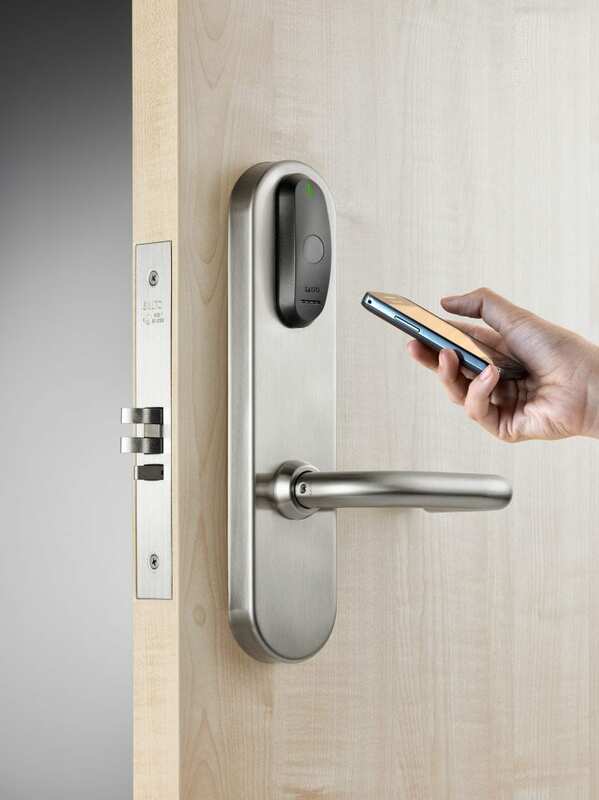 There are lots of things to consider when it comes to electronic access control. There are several factors that might influence what is best for your needs, facility and budget. First, let’s define what we’re discussing. Integrated locksets are locks with card readers built in. So, instead of having a lock on the door and a card reader on the wall, you have an all-in-one access control solution on your door. For examples of integrated locksets, check out our features on Salto locks, Aperio locks, and IN120 wi-fi locks. These locksets need power to operate, as well as a way to communicate with access control software to allow or deny access. As the name suggests, hardwired locks achieve this by having wires run from the lockset, through the door and frame, back to an access control board and power supply. 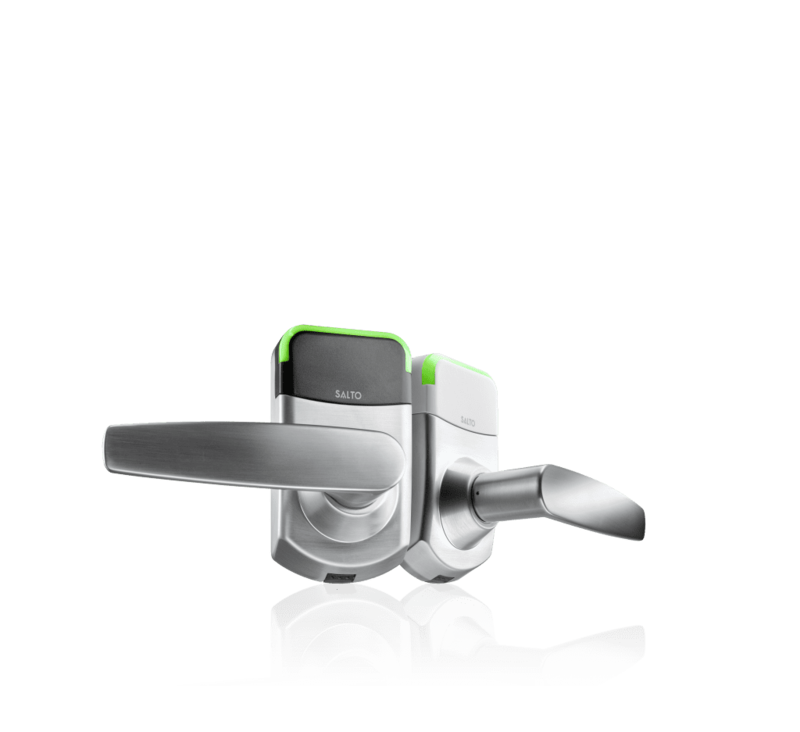 On the other hand, wireless locks are battery powered and communicate with a receiver using wi-fi, radio frequency or other methods. The receiver, which is typically concealed within the ceiling, then communicates back with the access control system. Now, back to the question at hand – wires or no wires? When it comes to the locks themselves, wireless locks tend to be more expensive than equivalent hardwired locks (roughly 10-20%). This is because of the extra components required for wireless communication. However, the overall installation costs for hardwired systems quickly add up. The wiring, door and frame machining costs and power transfer hardware required for these systems add considerable material cost. They also required extra coordination between various trades – particularly electricians – which can add cost and complexity to the installation. In retrofit situations, installing a hardwired system may not be a viable option because of the considerable rework required to run wiring and rework doors and frames. Wireless systems have a clear advantage in these situations. Hardwired locks are always connected to their power source. In case of a power outage, they can be set up to run off a facility’s emergency generator or battery backup. This connectivity also means the locks are constantly drawing power, which can impact the carbon footprint of the facility. On the other hand, wireless locks run off batteries – typically standard AA or AAA. This means they are not vulnerable to power outages. The locks are engineered to ensure battery life is sufficiently long (tens of thousands of cycles) and to send alerts when batteries are running low. With a little oversight and maintenance, managing battery replacement is relatively foolproof. Costs for battery replacement should be considered as part of the long-term operating costs for wireless locks. Recycling used batteries can help offset their environmental impact. An extra consideration with wireless locks is signal strength and the potential for interference. Steel, concrete and other building materials can create barriers for communication between the locks and receivers. This means receiver locations need to be carefully planned and tested to ensure there is a strong, reliable communication signal. First, it takes a fair amount of space to house the batteries in a wireless lock. They typically require 3 to 6 AAA or AA cells, which can make them bulkier than hardwired locks. The next point is related to communications. The metal components on a lock can create signal interference, so most wireless lock manufacturers surround their antennas with plastic to allow clear signal transmission. This can take something away from the aesthetics of wireless units when compared to hardwired units. 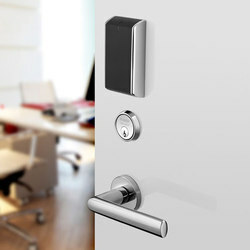 The decision between hardwired locks and wireless locks depends on what you want to achieve, your building characteristics and your budget. There are lots of products and possibilities – including using a mix of both hardwired and wireless to ensure you have access control at each necessary location. Getting advice from an experienced professional can help you balance the options and find a solution that works for your facility.